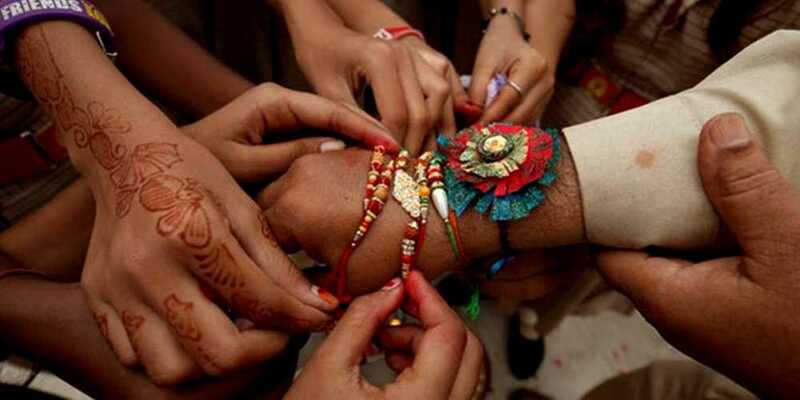 Members of the Hindu community in Sindh celebrated the religious festival of Raksha Bandhan with traditional fervour. The holy day of Raksha Bandhan is celebrated in the Hindi month of Sawan. The male members of the community take a spiritual oath to strengthen the everlasting bond with their sisters. The sisters wrap a symbolic bracelet known as Rakhi on the wrists of their brothers. The wrapping of Rakhi symbolises purity of love, truth and sincerity between a brother and a sister. According to Hindu tradition, the religious festival is meant to add colours of love in the sacred relationship of siblings. The sisters pray for long life and prosperity of their brothers. On the other side, brothers vow to protect her sister against all evils. The eye-catching and elegant Rakhis were sold in large quantity during the festival. Rakhis and related accessories with innovative patterns, beads and threads were in high demand. The high purchases of Rakhis signified commitment of the community to celebrate the day with customary zeal and zest. A large number of Hindus also organised special prayer sessions as well as exchanged gifts to spread joy throughout the festival.